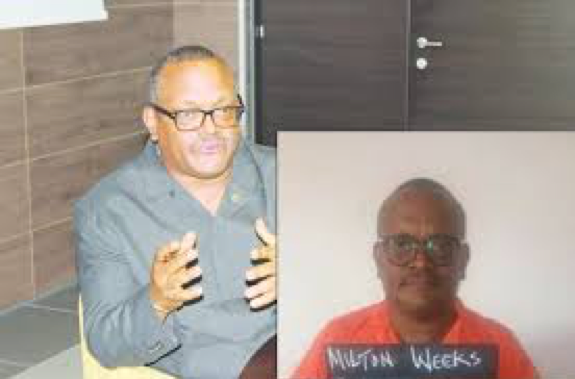 Monrovia – As opposing arguments ensue between state and defense lawyers over the validity of the bail filed to release five indicted Central Bank of Liberia officials, the lawyer of former CBL Governor Milton Weeks insists his client’s bond is sufficient. The claim of the insufficiency of the defendants bond was announced last week when Solicitor General Daku Mulbah filed a seven-count motion before the court taking exception to the criminal appearance bonds. The bond was filed on behalf of co-defendants Weeks, Charles Sirleaf, Dorbor Hagba, Richard Walker and Joseph Dennis. The five men are charged with economic sabotage and criminal conspiracy amongst others. The five senior officials of the CBL were arrested on February 28, 2019, after the released of the Presidential Investigative Team (PIT) report into the “missing billions”. Though co-defendants, Sirleaf, Hagba, Walker and Dennis have obtained an insurance bond of US$60,000 each from the Accident and Casualty Insurance Company for their temporary release, state lawyer Cllr. Daku Mulbah claimed that the bank statement attached to the individual bond is United States dollar account for the month of February 2019, which he calims reflects a balance of US$21,672.48 as at February 18, 2019. He terms the amount as “grossly inadequate and insufficient to absorb the US$240,000 (US$60,00×4) bond obligation”. As for former Governor’s bond, Cllr. Mulbah added that the combined value of the properties offered by the sureties, Mr. Dewitt and Rhonda vonBallMoos, Benoni Urey and Atty. Angelique Weeks in the amount of (US$909,319.88) is grossly inadequate and insufficient because co-defendant Weeks is charged with economic sabotage, criminal conspiracy, and facilitation in the amount of US$835,367.72 and LD$2,645,000,000.00. “Wherefore and in view of the foregoing, state lawyer prays this court and your honor to grant its exception by setting the invalid, inadequate and insufficient bond aside and rule the criminal Defendants incarcerated at a common jail at the Monrovia Central Prison and House of arrest in the case of co-defendant Charles Sirleaf) until they can post valid criminal appearance bonds,” said Cllr. Mulbah. According Cllr. Mulbah exception’s motion, the bond required for the Defendants is US$1,670,735.44 (US$835,367.72×2) and L$5,290,000,000.00(L$2,645,000.000.00×2), and that said amounts are not what that have been filed. Howver, Weeks’ lawyer, Cllr. Abraham Sillah of the Heritage Partners Law Firm son Wednesday, March 21, 2019, filed a 31-count response praying the court to dismiss and deny the prosecution’s exception to the bond because co-Defendant Weeks is entitled to bail as a matter of constitutional right. Cllr Sillah argues that the Defendant has satisfied by filing with the court sufficient sureties to secure his release from pre-trial detention and his appearance in court will be determined by the court. According to Cllr. Sillah, Article 21 (d)(i)(ii) of the Constitution specifically states that all accused persons shall be bailable upon their recognizance or by sufficient sureties, depending upon the gravity of the charge unless charged for capital offense or grave offenses as defined by law, excessive bail shall not be required or excessive fines imposed nor excessive punishment inflicted. Cllr. Sillah further argued that the Supreme Court ruled in the Jimmy Zuo vs John Morris Assigned at Circuit Court Judge First Judicial Criminal “C” that economic sabotage statute is unconstitutional insofar as it requires an accused to post a cash bond in the amount equivalent to the amount charged. Cllr. 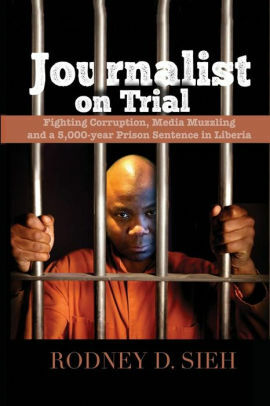 Sillah continued that a Writ Ne Republica has been issued on his client by the Monrovia City Court banning him from leaving the bailiwick of the Republic of Liberia while Weeks traveling documents both ordinary and diplomatic are in the possession of the Sheriff of the court, therefore, the exception from the prosecution provides no legal basis for setting the bond aside. “Your honor uphold the bail bond of the movant (Weeks) as approved by the court supplemented by the conditions your honor has imposed,” Cllr Sillah prays the court. Meanwhile, the two motions are before Judge Boima Kontoe, who will have to set a date for an argument which will be followed by a ruling.